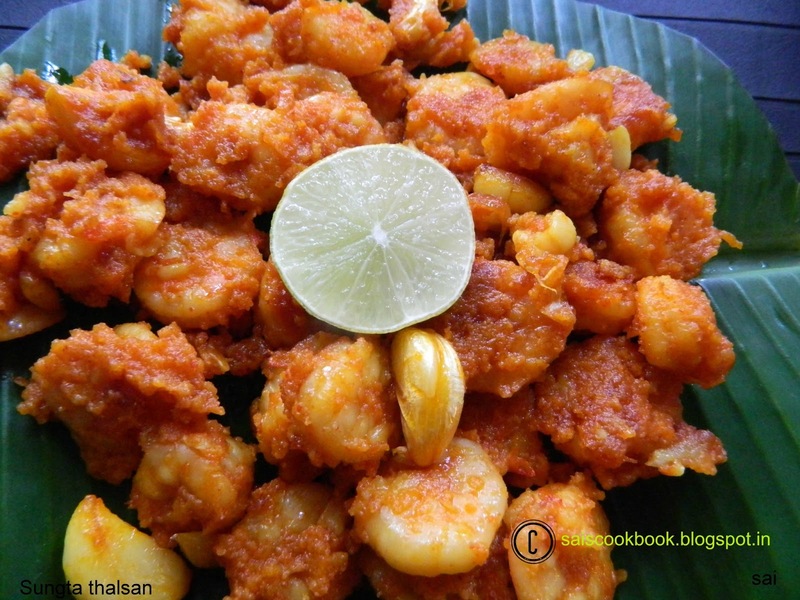 I adapted this recipe from my Papa’s sister’s mother-in-law.My Aunt always praises about this authentic recipe and I thought of trying it .This dish is filled with the aroma of garlic and it is very tasty to eat the whole garlic.The masala is same as of normal fish fry.Thalsan or thalasina is mostly prepared with garlic.Whenever any dish is seasoned with garlic I like to pick the garlic and eat.And we GSB’s make maximum use of the garlic.Sungta means prawns.Goes well as a side dish or a starter. Marinate the prawns with all the ingredients mentioned above for 4-5 hours in the refrigerator. 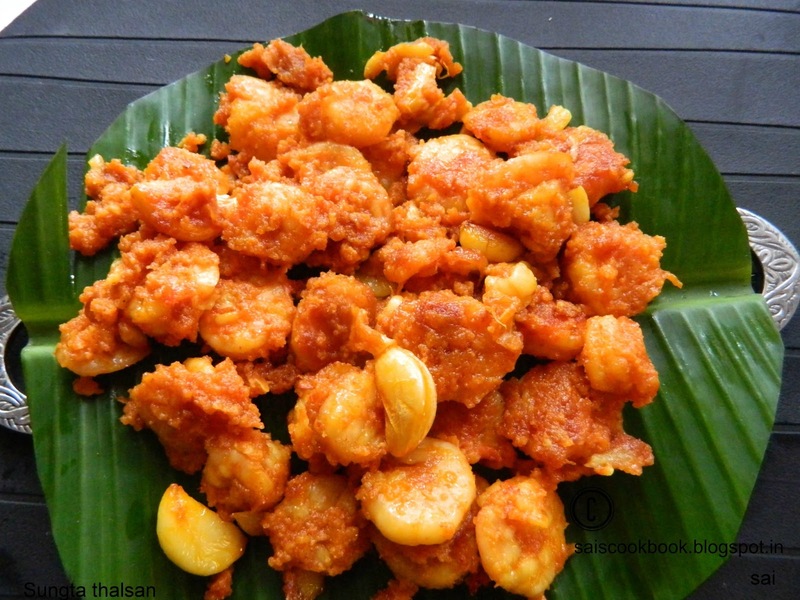 Heat oil in a skillet,add garlic and fry slightly,add the marinated prawns and saute it for 8-9 minutes. Cover it with a lid and cook for 2-3 minutes. Don’t over cook the prawns or else it will turn rubbery. Squeeze lime juice and serve. Sunghat Thalsilalen is also same I guess. Looks fantastic!